Federal AutoMatch 22 Long Rifle Ammo 40 Grain Lead Round Nose 325 Rounds ammo for sale online at cheap discount prices with free shipping available on bulk 22 Long Rifle ammunition only at our online store TargetSportsUSA.com. Target Sports USA carries the entire line of Federal ammunition for sale online with free shipping on bulk ammo including this Federal AutoMatch 22 Long Rifle Ammo 40 Grain Lead Round Nose 325 Rounds. 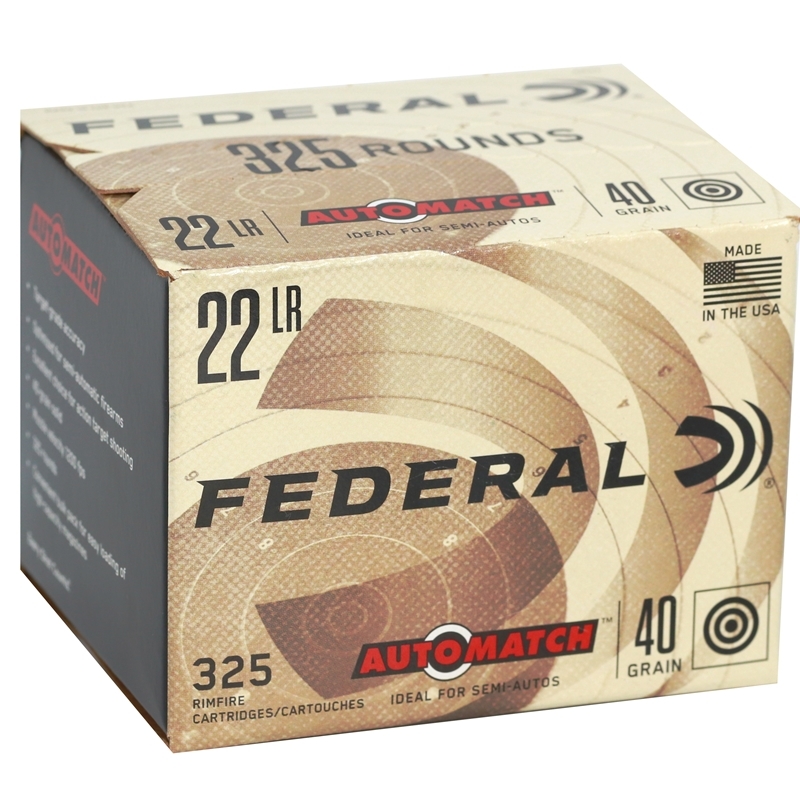 Federal AutoMatch 22 Long Rifle Ammo 40 Grain Lead Round Nose 325 Rounds ammo review offers the following information; Federal AutoMatch 22 Long Rifle ammo was designed for semi-automatic AR-15 style weapons to ensure smooth feeding and eliminate jamming and misfires. Federal 22 Long Rifle ammo provides reliable feeding without excessive powder residue and lead residue. Federal 22 Long Rifle ammo features a 40 grain lead round nose bullet with the muzzle velocity of 100 feet per second and 128 energy in foot pounds. This solid bullet is perfect for all your training and hunting needs. Federal 22 LR was manufactured recently and brand new. 22 LR ammo is new production ammo and non-corrosive, and is packaged in bulk 22 LR packs that hold 325 rounds per box and 3250 round of 22 LR ammo per case. 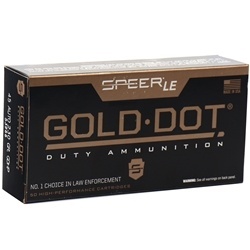 With the high volume shooter in mind, Federal manufacturers 22 Long Rifle ammunition for a relatively inexpensive price, therefore making it is considered a "good value" 22 LR ammunition round over all. Furthermore, the AutoMatch has been tested. AutoMatch 22 LR ammo offers match grade accuracy, while feeding without any issues in your .22 loaders. Like all Federal ammunition, Federal AutoMatch 22 LR ammunition is manufactured at the Lake City Army Ammunition Plant (LCAAP) in Independence, Missouri, which is an interesting aspect of the ammunition in itself. LCAAP is a government-owned, contractor-operated munitions facility that was originally established in 1941 for the manufacture and testing of small arms ammunition for the United States Army. Since 2001, it has been operated by Alliant Techsystems and is the largest manufacturer of small arms ammunition for the U.S. Army. The Lead Round Nose solid bullet is perfect for all your training and hunting needs. This Federal AutoMatch performs exceptionally well with the Ruger 10/22 rifles. Federal 22 LR provides reliable feeding and function without excessive powder and lead residue.